Amazon has acquired twelve year old Canadian company Abebooks (formerly the Advanced Book Exchange), the companies just announced. AbeBooks is an online marketplace for books focusing on used, rare and out of print titles for sale by independent booksellers – it currently has 110 million books for sale from 13,500 sellers. The company has been around since 1996 and fills a niche for Amazon in hard-to-find or out-of-print books. Rather than hold its own inventory, it acts as a digital marketplace for established booksellers. AbeBooks also owns 40 percent of LibraryThing (a social app for keeping track of your books and finding other like-minded book lovers). Whereas Amazon is an investor in Shelfari. Now Amazon will own a piece of both of those competing startups. AbeBooks CEO Dr. Hannes Blum sent an email out to its booksellers today talking about the acquisition, saying the company would continue to operate as a stand-alone business. The email is below; the press release is here. AbeBooks has reached an agreement to be acquired by Amazon.com, Inc. This is a major landmark in the 12-year history of AbeBooks. AbeBooks will continue to operate as a stand-alone business with all aspects of AbeBooks’ bookseller and customer experience remaining intact. AbeBooks’ headquarters will remain in Victoria, BC, Canada, and our European offices will remain in Dusseldorf, Germany. We will continue to support both our international marketplaces and our domestic marketplace here in Canada. I will continue to lead AbeBooks. We expect this change to allow AbeBooks to expand its offerings and introduce new features and services to enhance the book buying and selling experience. Amazon is committed to further developing the AbeBooks brand and building upon the success of the past 12 years. 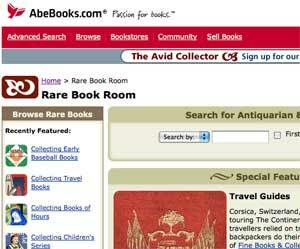 This is not the first time AbeBooks has changed hands since being launched in 1996. Hubert Burda Media, a German media company, took a majority shareholding in 2003. The bookselling community has been a vital component in our success, and we are grateful for your continuing support. We will be happy to answer questions about our new ownership and what the future holds. A bookseller Roundtable will be held on Thursday August 7th at 2:30pm PDT/9:30pm GMT/7:30am AU where I and the Director of Sales & Account Management, Shaun Jamieson, will answer any questions you might have. In addition, the ‘Ask AbeBooks a question’ folder will continue to be available for ongoing questions from the seller community. We realize this is important news for our community, and we are confident that this acquisition will greatly benefit AbeBooks’ sellers and provide us with many opportunities for future growth. For more details please see the official release posted today.